The Kettering Safety Section provides school aged students education on transportation safety. Additionally, the Safety Section manages the Safe Routes to School program. 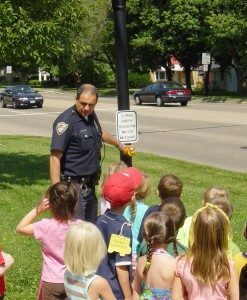 Safety Supervisors provide school safety patrol training to over 400 students annually for all public and private schools in Kettering. The Safety supervisors also work at critical school crossings and major traffic intersections located near the elementary schools. The Kettering Safety Section is the recipient of multiple national, state and regional awards and is recognition for various traffic safety and injury prevention outreach accomplishments. One noteworthy award winning program is the Kettering Safety Village founded and supported by the Dor-Wood Optimist.